Happy Pink Full Moon and Happy Total Lunar Eclipse. Energy of Now: We exist in what unites us. In the timelessness of time the sky plays for us the Alchemical Marriage of Union, Unity and Oneness; when the earth, moon and sun line up. We have a ‘marriage’, a ‘union’, and a ‘oneness’ all at once. We; the spectators gather to witness this natural phenomena. The celestial sky moves at its own time and lets us know in the timeless energy of time. In the vortex of time and no time we have a marriage of natural flow. How auspicious for us. Where is your auspicious marriage in your life? We say the Alchemical Marriage of the Moon, Earth and Sun on the 20 March; when we had a spectacular Solar Eclipse with the New Moon in Pisces. We will see and witness another Alchemical Marriage on 4 April; when we will have the wonderful Lunar Eclipse with the Full Moon in Libra. AND we all know Libra is about relationships and falling in love with love. This will be a very romantic celebration. The time in between the eclipses is a powerful vortex of time where a lot is stirred up in the cauldron. This magical cauldron, which is your life, will stir up a lot of things that need to be addressed. They will niggle at you and make you feel uncomfortable, unsettled and maybe even displaced. A time between eclipse is a time to bring out your warrior spirit. In terms of relationships: If there is a break up looming something will happen to reveal it. In terms of business: If there is more of you to show the world; something will trigger you to put yourself out there. In terms of action: If there is something you have to do; you will be moved to do it. In terms of health: If there is a health issue you need to address; the warning signs will be there for you to action. you have no control of your life! The sandwich may be to your liking or it may not be. You will know it is not to your liking when you find you have experienced any sudden emotional outbursts; you have dropped the phone on a person annoying you; you have withdrawn from a so-called loved one; you have removed yourself from doing something you know you should do and still you do not do it! The time in between eclipses is a time of change, sudden emotional outbursts; as well as, a change for the better. You question your life and your decisions and you feel confused, undecided and helpless. This really is a wonderful way to not feel happy!!!! A challenging time for everyone. However, like I have said many times, through the chaos we get the clarity. What patterns are being revealed in your life during this time between eclipses. What patterns do you not like? Is it a pattern of overeating; are you putting on weight or have you noticed your bad sleeping patterns. Perhaps you are in a relationship that is not making you happy. Perhaps you keep longing for the same type of person who is not able to commit to you. Feeling gutted at these patterns help you to see where you need to shine your torch light of change. The hot spot of your life is highlighted; when you really notice your uncomfortable experience; and observe yourself in the play of your life. Is this a pattern you have been repeating for a while and you now realise it does not serve you? The time for change is here. The time is NOW. Above all be aware of what you want to achieved as you journey through the mud of your emotions, which are important; as they tell you how you feel personally; and what is real for you. Through knowing what you do not like you know what you do like and what you do want. Fears Your FEARS are False Evidence Appearing Real. Do not allow them to consume you and create a state of inertia in your life. Allow the power of this Full Moon to illuminate your fears and feel them and then say ENOUGH IS ENOUGH. Put your hand out and make a power stand and say with your body and your hands ENOUGTH IS ENOUGH. This is a cleaning eclipse on many levels. Are you now able to create and manifest what you do want? Yes you are. We will be working with both the fire and air elements in the Workshop. We will kindle the flame from within. We will communicate with it. We will ignite it to full blossoming. We will be healing the pain and sorrow within with the energy of Fire and setting ourselves free with the energy of Air; feeling liberated in the expression of our blooming. The guided meditation will help with all of this. Last New Moon in Pisces I spoke about saying PLEASE, THANK YOU and SORRY. 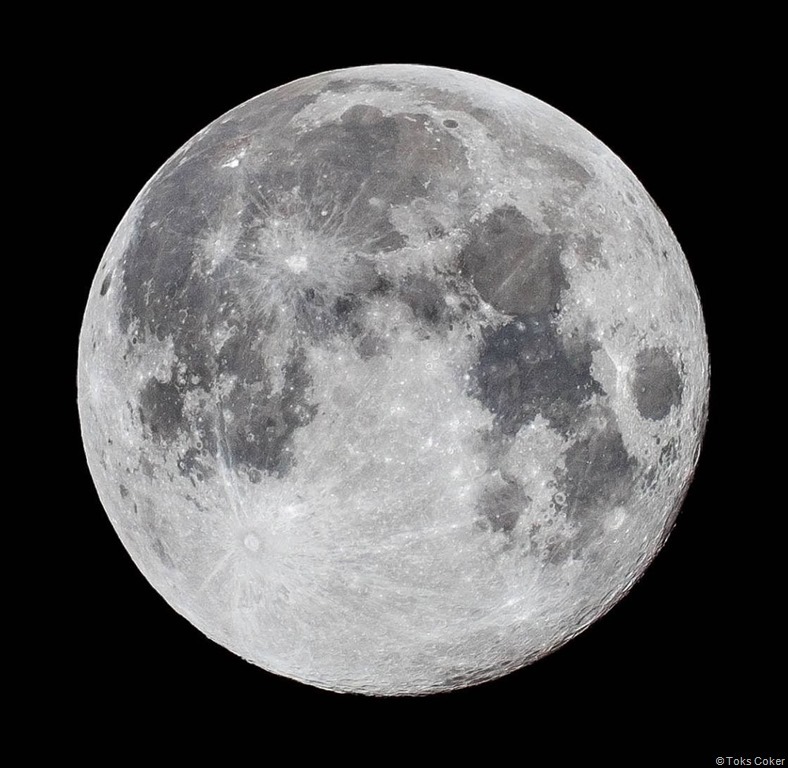 This Full Moon at the Workshop I will be speaking about an exercise to do to help you release any resistance to saying any of these powerful words – PLEASE, THANK YOU, and SORRY. The picture of the Healing Crystal Candle can start to help you with this exercise now. This Full Moon Eclipse is a powerful movement of energy that forces us to look at our relationships – we have Libra with Aries – Libra is about relationships and Aires is about leadership. What needs to change in the dynamics of your relationship. One of the most important things is learning to say PLEASE, THANK YOU AND SORRY. Not from a weak point or a subservient point. But from a wholesome healing point of view. If you find this difficult to do I can help you. Book a session with me. If this is an aspect you have to change in your interactions with your relationships – even if you do not want to change it – the Universe will set it up so you change it or you will continue to suffer the pain of anguish you feel. The choice, after all, is yours. What internal and external changes do you need to make to be happier in your interactions? On Friday 3 April 2015, we celebrate the LIBERATION of the Jewish people from slavery in Egypt. We celebrate Moses fearlessly challenging the Egyptian Pharaoh, symbol of power and authority. He stands strong in his faith and in his belief. He knows that he will win and save his people. He won with the help of Adonai – this is winning with the power of Divine Intervention and Prayer. Moses had a strong fighting spirit and activated it with believe in God, Adonai. Celebrating Passover the Jews will only eat Matzah bread; which is unleavened bread. It is the Food of Faith. They will eat the Bread of Affliction for seven days because they came out of the land of Egypt in haste and to remind them of the day they left Egypt for as long as they live. The Jewish Passover Seder is a meal full of symbols of salvation. On Friday 3 April 2015, we celebrate Good Friday with the Christians. It is the day Jesus Christ was crucified and died for our sins. We celebrated his birth on Christmas Day and celebrate his death on Good Friday. It is good because he died for our sins. On Saturday 4 April, the day of the Eclipse and Full Moon, the Christians celebrate BLACK SATURDAY, the day Jesus Christ body is laid in the tomb. Mary is silent and suffering from grief at the death of her son. On Sunday 5 April, we celebrate the resurrection of Jesus Christ. It is known as RESURRECTION SUNDAY. Did you know that Jesus Christ ate Matzah bread at the Last Supper? During the Jewish Passover, the Jews eat Matzah bread for seven days. I love this similarity in religions. I like is the fact that the Eclipse is between the two Easter Days on Holy Saturday. It makes sense that first we see his body and then we do not because he is risen. He has resurrected. He has had an alchemical resurrection of his True Self as the Son of God. I really believe the natural rhythm of life affects us all. The Full Moon, the New Moon, the events that happened many moons ago. Life really is linked on many levels. At the beginning of this inspiring blog I wrote: Energy of Now: We exist in what unites us. The time has come for us to know we have bloomed and blossomed many times. A day to go to your heart and find out how it is!!! When last did you ask your heart how it is? This really is a time TO MERGE WITH YOUR INFINITE HEART. What would it be like if you could have co-creation, blooming, co-operation of partnerships and working in harmony collectively in groups? Allow your own blossoming and shine the light on your gloriousness and possibilities of an INFINITE HEART. Are you ready for the shift or do you find change difficult? A Lunar Eclipse occurs when the MOON passes BEHIND the EARTH and the EARTH blocks the SUN’s ray from striking the MOON. It only happens when the Sun Earth and Moon are aligned close to earth, with earth in the middle. There is always a Full Moon on the night of the Lunar Eclipse. We may see the setting eclipsed full moon and rising sun at the same time in the sky. The Total Lunar Eclipse is the LINE UP of Sun Earth Moon – moon goes through earth’s shadow – earth hides sun. This magnificent Lunar Eclipse is known by a few names such as the BLOOD MOON, and the PINK MOON. This Total Lunar Eclipse is under 5 minutes. You will see a wonderful RING OF FIRE around the Earth. This means we will see EVERY SUNRISE and EVERY SUNSET AROUND THE WORLD: ALL AT ONCE. I love that. It is rare scientifically because it is part of a series of four rare total lunar eclipses in a row, known as a TETRAD, which I mentioned in previous blog postings. The first one was in April 15 2014, then October 8 2014. The next one is on April 4 2015 and and the final one on September 28 2015. We will be calling in the energy of the Goddess Durga with this Total Lunar Eclipse! She is a powerful force. And during this time we need a powerful force to protect us, energise us, rejuvenate us, fight for us, and empower us: to prepare us to go forward with confidence and courage into the unknown. Durga is the Mother of the Universe and is the Infinite Power of the Universe. She is both the dynamic male and the dynamic female. Chants of Durga I am sharing chants that I was guided to share with you all with this Total Lunar Eclipse. Click on the links below to listen. You can listen in stillness for a few minutes or while you busy yourself with other things. Just allow the chant to seep through your auric field and feeling the healing energy of sound and the power of the vortex of Ether, the fifth element. The Power of the Voice is the Power of Movement in Air. Creation of Durga Durga is a lady of many names and many forms. Durga was created to slay the buffalo demon by all the gods (the three greater gods: Brahma – creator, Vishnu – preserver, and Shiva – destroyer; and the lesser gods). They gave her all their divine weapons, power, radiance, and magic. She is the manifestation of many gods. Each of the gods form part of her body. So we see that Durga was created by joining all the magical forces together; with both powerful female and male energies. She activates great power from deep within her – her divine inner power is the true source of power. rces we create order as we unite in one course – to create peace and order. We become one mighty force – Durga. We become Shakti Durga. SHAKTI is the force that destroys evil – it the power of the almighty to destroy anything negative that causes imbalance in the world or the universe. Shakti is the power, the creative energy of life, the source of all power, the one, the one universal power. Every god has a Shakti and without a Shakti the god has no power! Shakti is an aspect of the Divine – invincible, formless, nameless! Many Forms of Durga Durga is the Mother of the Universe. She has many forms and many incarnations. She is everywhere all at once. Durga is Shakti, wife of Shiva. Durga is Uma or Parvati (The metabolic energy called Kundalini is symbolized as Parvati.). Durga is Lakshmi, wife of Vishnu. Durga is Saraswati goddess of music and wisdom. Durga is Kali. Durga is Chandi. Durga is Padmanabha-Sahodari and Naryani, the sisters of Lord Vishnu. Durga is everywhere. There is a NAVARATI FESTIVAL later this year (13-21 October 2015) when Druga is celebrated over 9 Days. Each day an aspect of her is celebrated. The first 3 days destroy all impurities, vices, and defects. The next 3 days invoke her as Lakshmi, giver of spiritual and material wealth and prosperity. The last 3 days invoke her as Saraswati, goddess of wisdom, for all round success in ones life. Animal Totems Her animal totems are the tiger or the lion. Magical Divine Weapons She has many magical Divine weapons. My favourite is her bow and arrow – when she shoots one arrow it flies off as a thousand arrows and attacks the one thousand enemies. I also like the idea of the flaming sword that flies at the enemy destroying it. Her Magical Divine Weapons are the trident (from Shiva), the discus, the chakra (from Vishnu), the scimitar, the lasso, the conch shell, the mace, the bow and arrow, the spear, the sword, the shield, the bell, the pink lotus flower, the battle-axe, the thunderbolt, the elephant goad, the snake, the rod, the spade, the vajra, the goblet, the hammer, the iron weapon, the weapon made out of thorns, the javelin, the dagger. Durga enables change which is necessary with this Eclipse as it brings dramatic, sudden; as well as; gentle change. What type of change has this energy brought you. I got the sparkly images from the blog printed on the pictures. You can get them from there too. They are simply lovely images. Every day is a special day. I have shared a few dates here for you to celebrate if you want. Put them in your diary and use them as an opportunity for you to light a candle for the world and global healing on a phenomenal level. List the outbursts, upheaval, turmoil and tears you have had to go through in the past 7 days leading up to this Total Lunar Eclipse Red/Pink Full Moon. List what has been revealed to you through the upheavals in the past 7 days. What insight, knowing, feelings, thoughts, and beliefs have your realised serve you; and what do not serve you? What was hidden has been revealed with the eclipse energy portal of 4/4/2015. What was hidden that has been revealed to you? What realisations and insights have you had on 04/04/2015? What was the message you got from the Workshop? What did you bloom on this day. What had you bloomed before this day. How empowered do you feel in the portal of who you are after the workshop? Where is your auspicious marriage in your life? Exercises: What was it like doing the exercises? Which was your favourite? How did you feel with the healing you gave and the healing you received? What messages came to you as you created the Sacred Crystal Grid? How did you like the Invocation Blessing meditation? What type of change has this energy brought you. What did you get from the relationship exercise? What needs to change or be rearranged in your relationships? Be aware and notice if you have any more outbursts in the next 7 days after the eclipse full moon. List the next set of outbursts, upheaval you go through in the next 7 days following this Full Moon. Notice how they are different or similar. Notice if they are milder or stronger? List what has been revealed to you in the next 7 days, following this Full Moon. What intuitive empowering feelings and knowing’s have you felt; that have freed you and empowered you from your ‘inertia’. What actions have you taken that you did not take before? Thank you for the insight lovely woman. Powerful Blog!! Thanxxxxxxx lots love M. Will do the homework.